WOW! Women On Writing Blog: Friday Speak Out! : Why Try NaNoWriMo? Friday Speak Out! : Why Try NaNoWriMo? Hundreds of thousands of people from around the world take part in National Novel-Writing Month’s fifty-thousand-word-novel-in-a-month challenge each November. There are many naysayers who don’t believe a quality novel can be written in such a short time. It’s true, you will not come out on the other side of November with a beautifully-polished, ready-to-sell manuscript. But here are some valid reasons for focusing on word count for a month, setting a challenging goal, and giving fast-drafting a shot. 1. While many of the counted words you write while fast-drafting may not seem great, there is always the option to revise. You can’t revise a blank page, but you can revise 50,000 words of story, no matter how bad they are. 2. The practice of fast-drafting encourages people to write every day, whether they feel their muse and are on a “writing high” or not. During the down times, the subconscious mind often kicks in to offer solutions you may have never thought of if you weren’t pushing through on a difficult writing day. 3. Many writers spend years drafting a book, only to discover it has a major flaw or a lack of marketability. Fast-drafting allows writers to get the bones of their stories down quickly, step away from them, and gain perspective about their potential before pouring too much blood, sweat, and time into revision. 4. Momentum makes writing easier. Staying with your story every day may cause you to dream about your characters. You may have thoughts of your characters when you’re on the bus or in the grocery store. Keeping immersed in your story will help you constantly come up with new ideas to work into your writing. Almost every person I talk to has A Great Story Idea, or they started a novel once, but never got around to finishing it. Why not set a challenging writing goal, push through, and make it happen? All you have to lose is a couple of hours a day for one month. 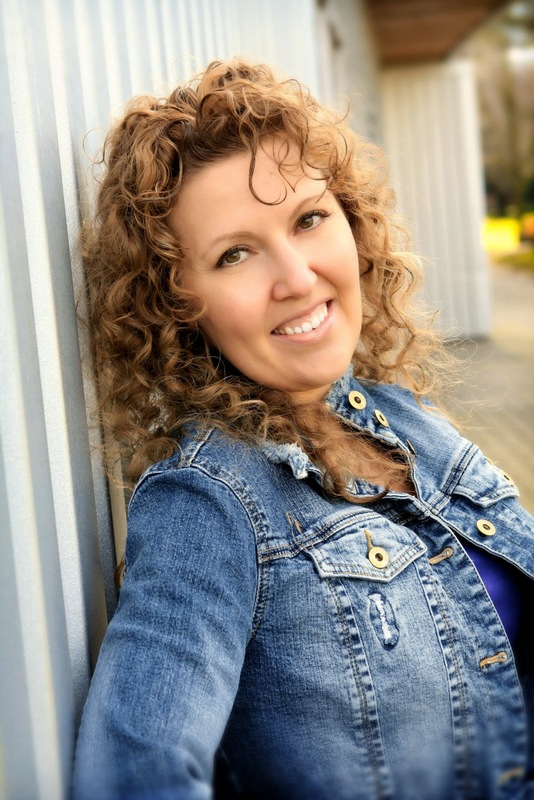 Denise Jaden's novels have been shortlisted or received awards through the Romance Writers of America, Inspy, and SCBWI. 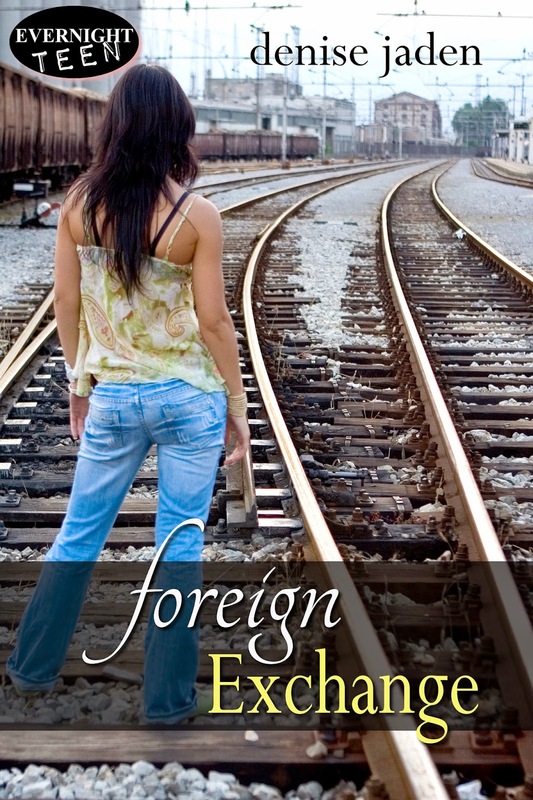 Her newest release, Foreign Exchange (Evernight Teen, Oct. 2014), started as her longest NaNo draft to date (92,000 words!) Her non-fiction book, Fast Fiction includes tips on constructing a story plan that works, as well as daily inspiration to keep writers writing. For those who don’t want to take on the challenge alone, she is running an online Fast Fiction course through the International Association of Journal Writers. Find out more at DeniseJaden.com. I have Fast Fiction beside my bed and have been making notes in order to get ready for NaNoWriMo this year. Great book, a really nice read even if I wasn't planning on writing in November. I'm thrilled to hear that, Judy! All the best with your NaNo project! I think it's so cool that your latest book started out as a NANO draft. That should inspire people! Denise--I am going to be a NaNoWriRebel again this year. One of my past NaNo "winners" ended up being a big pile of poop, so I doing some heavy-handed revised/slashing and burning. Congrats on your books "Foreign Exchange" and "Fast Fiction." I agree. The fact that your novel was birthed as a NaNoWriMo project IS inspiring.